The goal of Design for Active Childhoods is to help designers, recreation professionals, and educators bring back the richness of the outdoors as a resource for education and healthy child development. 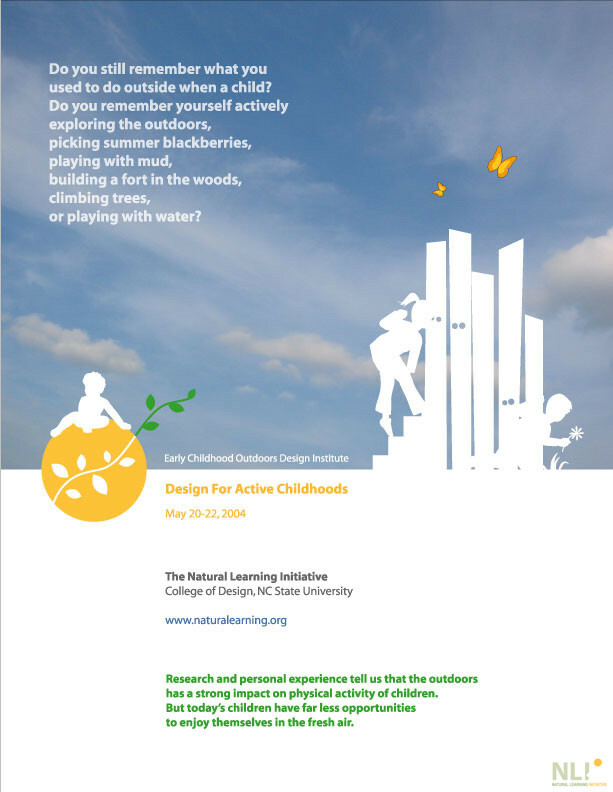 Learn about the impact of outdoor spaces in early childhood development. Recognize the relationship between young children’s lifestyles and the built environment. Understand the role of landscape design in improving the quality of outdoor environments for healthier development. Understand the range of community groups that can benefit from environments designed for active living for young children including families, childcare centers, museums, botanical gardens, parks, hospitals, environmental centers. Acquire knowledge of specific design solutions to counteract sedentary lifestyles in early childhood. Become familiar with the design programming process, including young children’s participation. Understand how to translate design programs into site designs. Learn about the network of professionals and researchers working in the field of public health. William Crain, PhD, Professor of Developmental Psychology, City College of New York. Endangered childhood. Patrik Grahn, PhD, Professor of Landscape Planning, SLU (Swedish Land Grant University), Alnarp, Sweden. Children’s pre-school environments. The impact of the design of the school environment on children’s behavior in play, their power of concentration, and their motor skills. Jim Greenman, Senior Vice President for Education, Bright Horizons Family Solutions. Children in child care: Losing ground and gaining pounds—off to bad a start. Richard E. Killingsworth, Director of Active Living by Design, School of Public Health, UNC, Chapel Hill. Active living and children. Laurie Ringaert, Director, Center for Universal Design, College of Design, NC State University. Universal Design: a tool for creating spaces for active children.